Wilmington Island home additions from American Craftsman Renovations can help solve your spacial problems. Whether the kitchen is feeling a bit cramped or you need an extra bedroom or bathroom, a home addition on Wilmington Island will help make your home meet your needs and increase the value of your property. 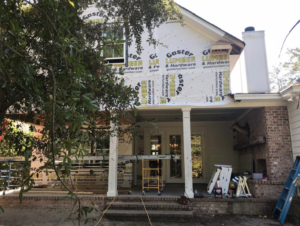 Greater Savannah Georgia general contractor American Craftsman Renovations can help you increase the square footage of your Wilmington Island home, building you the extra bedroom and bathroom, dedicated office space, or expanded kitchen that you need. We will ensure that any addition to your home seamlessly integrates with your existing structure, creating the extra space you and your family needs.